What I remember most about my preschool years is that the times were filled with playing, mostly by myself and occasionally with one little girlfriend who lived down the road about half a mile. We lived in the country. I grew up with an older sister almost 9 years older than me, so much of my time was spent exploring, and playing with my dolls and barbies. Honestly, I don’t remember much before the age of 4. But what I can remember and what I cherish most is that my mom was home with me. I was very loved. I remember running through the house and every time I saw my mom I’d yell, “I love you.” We ate dinner together every night as a family. There was consistency and stability. I knew what to expect in my little world. I remember playing outside in the sprinkler, climbing trees and riding my big wheel. I remember watching Sesame Street and that was a special occasion on Saturday morning. We didn’t even know what cable was. I don’t remember my mom playing with me every second, or doing crafts every day. I actually don’t remember doing any crafts at all. And we certainly didn’t have Pinterest. What was a computer back then? Really? Mom sat outside on the driveway sunbathing while I played. I wasn’t involved in sports or music or art classes every day of the week. I know that some of you may not be able to recall happy childhood memories. Or yours may have been riddled with sadness, and family problems. We had some major life challenges during my preschool years, as well, with the death of my older sister at age 18 and my father struggling with and recovering from alcoholism, which I only vaguely remember. But even with those GIANT struggles, my mom provided for my needs, loved me well and my overall memory is a positive one. 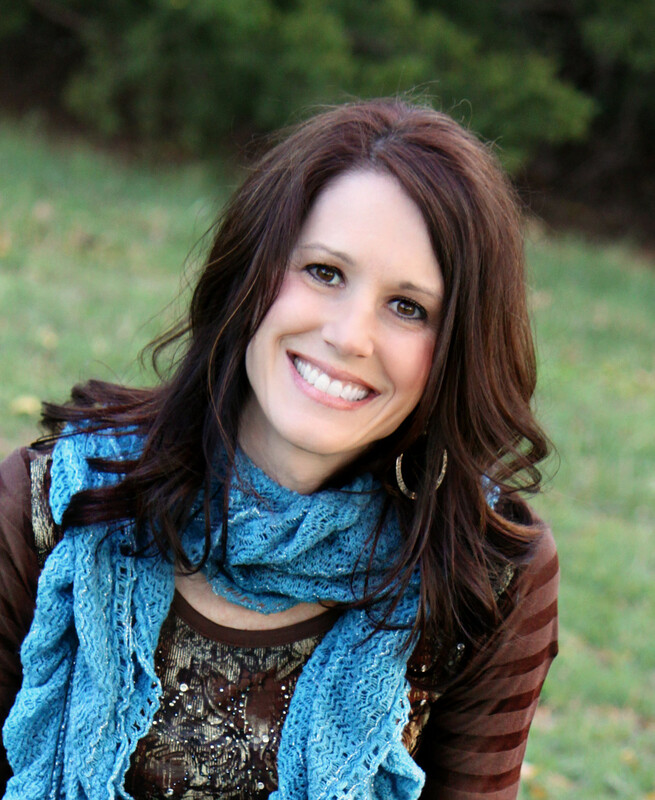 So, I beg the question…Have we mothers complicated our parenting? In our efforts to be a great mom, a better mom, have we forgotten the most important things? Have we forgotten how important it is for us, for our children, to simplify life? Do we need all those toys, all those games, all those learning tools, all those activities? I’m beginning to see, as I reflect backwards, how much wiser my mom was. I am enthralled with the Pioneer and Amish women. I am attracted to their simplicity of life. Yes, there may have been more challenges, and I’m certainly not ready to let go of all our 21st century conveniences, especially in the heat of a Texas summer, but I am beginning to apply this wisdom to my own life as a mom of young children. I don’t want to feel stressed out, busy, harried and constantly striving any longer. I don’t want to keep trying to do more. I want to do what is most important. He faithfully has shed light on this for me and given me His wisdom, which I will pass on to you. Create in them an enthusiasm for learning. Prepare and eat meals together. Teach your children to rest and be still. The world will teach them how to be busy. Show them how to trust God. Let them have fun and play. Incorporate them into your everyday tasks. Help them become who God has created them to be. Touch them, hug them, love on them. …sign them up for every class and activity. …teach them to read and write by the age of 3. …drill them to see how smart they are. …checking my Facebook every minute. …collecting an unending amount of recipes and kids crafts on Pinterest. …cooking gourmet meals every night. …creating masterful art pieces everyday. Right now as I’m typing this, my almost 3 year old daughter is on the carpet playing. Her brothers are sleeping. 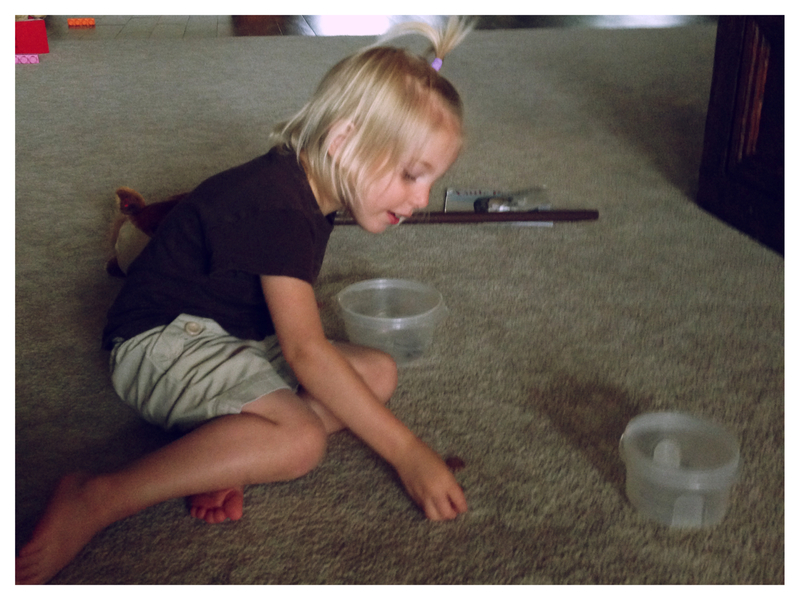 She asked to play with coins. So, I gave her 2 tupperware containers and about 15 coins. It is truly amazing watching her creativity with so little. And honestly, she has been more entertained with this simple activity than most of the “learning” activities I have given her. And ironically, learning so much more. 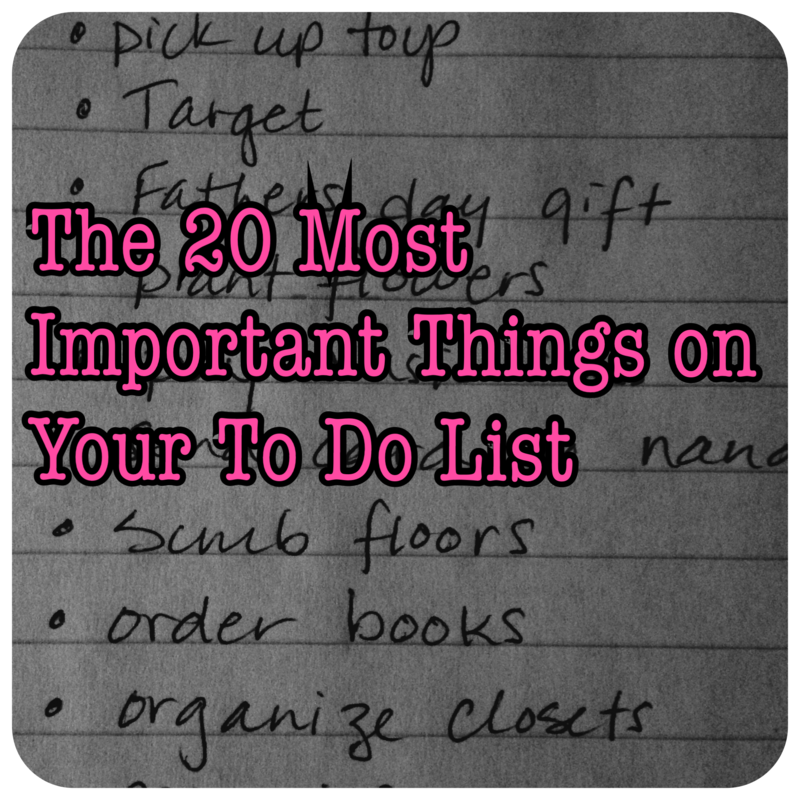 May I encourage you to pray and ask the Lord what are the most important items on YOUR to do list. What are the most important things in your family? 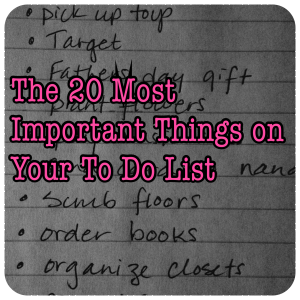 I would venture to say that it looks much different than your current to do list right now. I always know that as God speaks to me, it will always look differently than what I had planned. Thank goodness. So thankful for His wisdom. So thankful for his Word. Go to Him. Seek His heart for YOU. For your family. For your children. And may you walk away today inspired and ready to live differently.